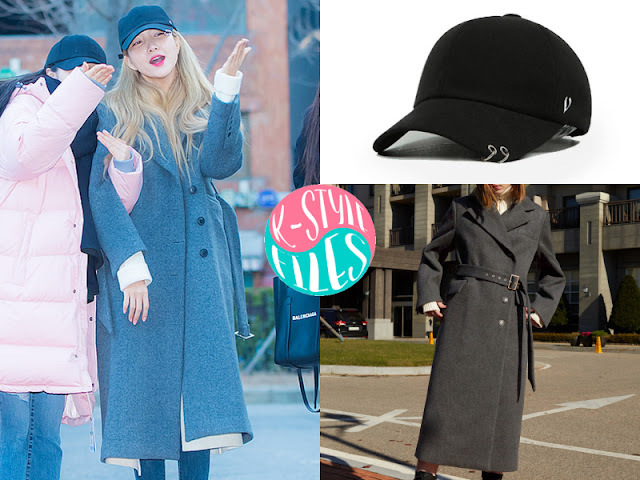 Sowon is wearing Double Metal Ring Cap from Vibrate & Maxi Belted Coat in D / Gray from Raive. 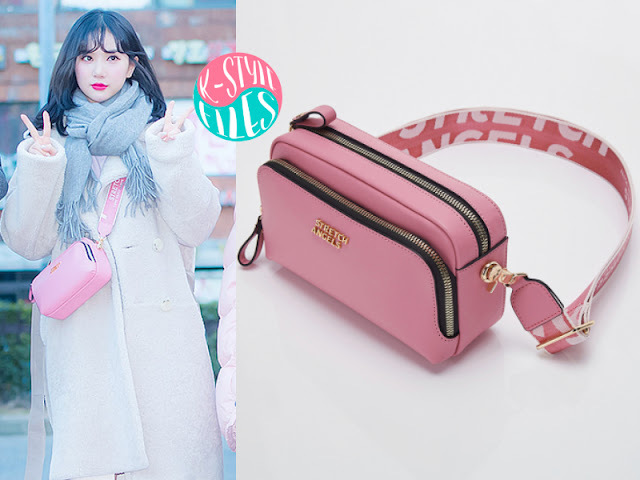 Eunha is wearing PANINI metal logo solid bag (Pink) from STRETCH ANGELS. 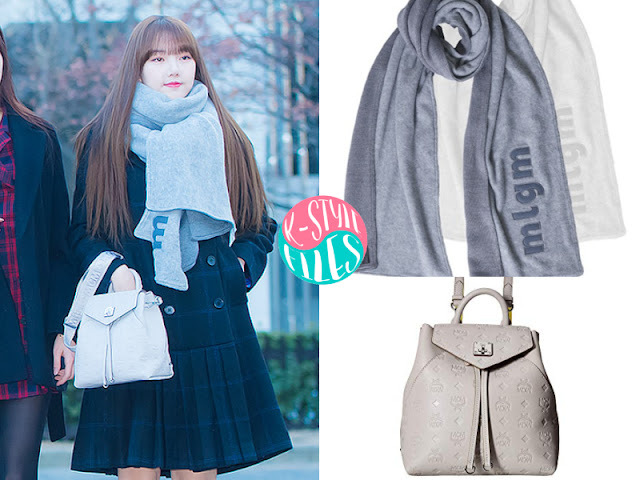 Yerin is wearing Gemini Muffler - Gray from Millogrem & Essential Monogrammed Leather Backpack Small from MCM. 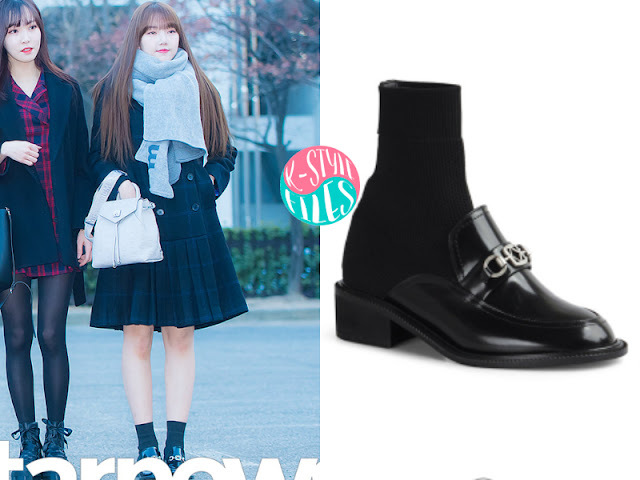 Yerin is also wearing Ankle Boots Roy from Rekken. 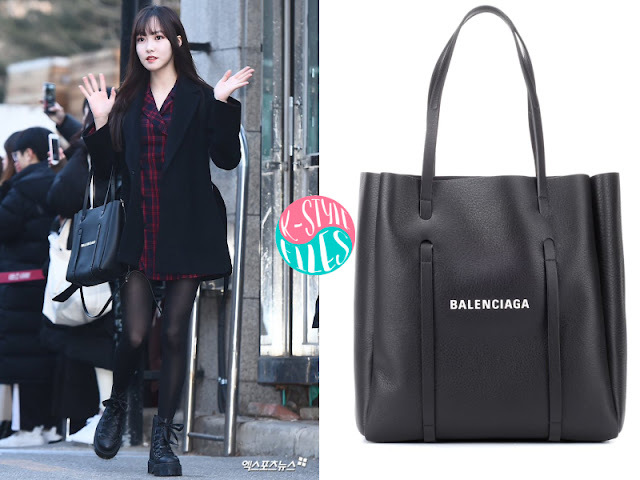 Yuju is wearing Everyday S leather tote from Balenciaga. 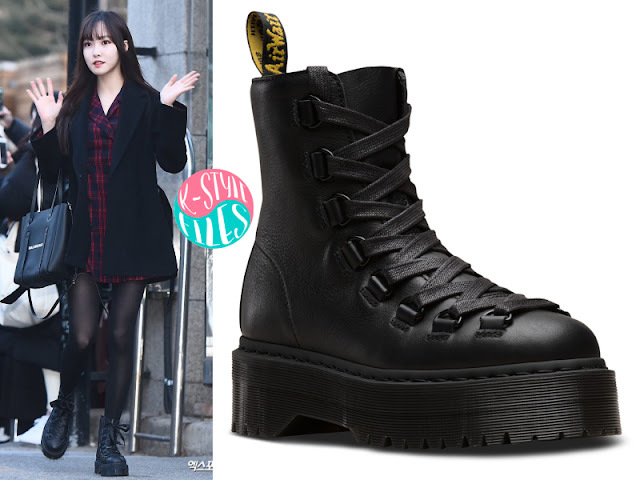 Yuju is wearing BLACK PISA+SMOOTH from Dr. Martens.